LUMUHAND: Five. Cinco. Fiiiiive. 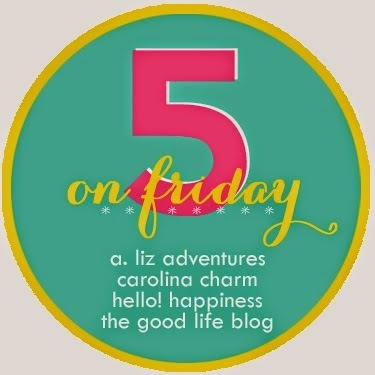 5 on Friday. So, here I am... with Friday almost over on the East Coast...just about over in Central Time...soon to be over on the West Coast and definitely over in some parts of the world..
1. Today, I found out that I will be employed at the same school where I currently teach. This is great news considering the fact that I just bought a house... In the world of teaching, if you aren't tenured that means you aren't guaranteed to a job. Tenured requirements vary from state to state, but typically you have to work for 5 years in one district before your job is safe. Otherwise, you're on pins and needles every year, wondering if you'll be back the next year). 3. I'm heading to visit Mom and Gramman tomorrow and I'm excited to stop off in Elizabethtown and pick up this lovely beauty. 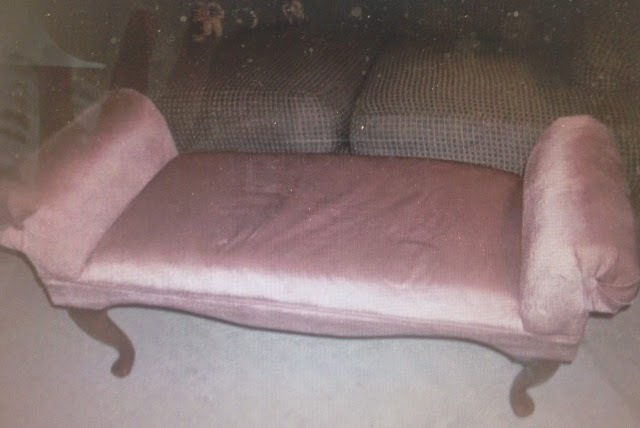 I plan on recovering it with probably a Quatrefoil fabric, so am pretty excited about what the finished product will look like. I'll be sure to update. 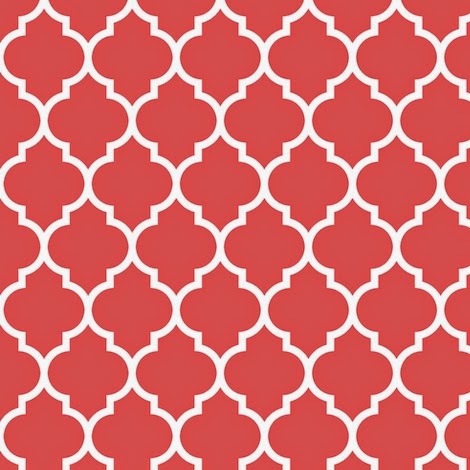 Quatrefoil is the actual term for what many of us think of as Moroccan tiles... Not sure yet on the color, but definitely love the pattern. 4. I freelance on the side as part of my hustle (writing, PR, and Voice Over work) and I'm pumped to say that I just scored an awesome gig... I'm the new voice of a Driver's Ed course for the State of Nevada. Decorating money...yes, please. 5. "Heartbreak Warfare" has ruffled the tail feathers of my week, but I'm so blessed by all the support and encouragement I've received from friends and family. 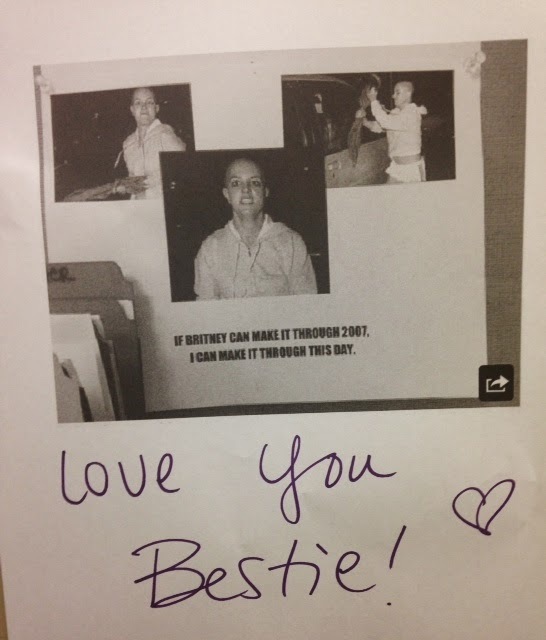 I seriously am surrounded by some of the most incredible people IRL and in the blogsphere.. My bestie Kiki La Rue surprised me with this fantastic sign of sorts to hang behind my desk at school... and if you think about it... so, so, so true.. So true.... I'm mean let's think about... If Britney can get through 2007... I.. you...we... whomever is reading this, can make it through whatever their going through.. stay away from the buzz clippers and umbrellas. Congratulations on your teaching position. I actually have a teaching degree, but couldn't find a job in my area so ended up having a mid-life career change when I was 26. Yay!!! 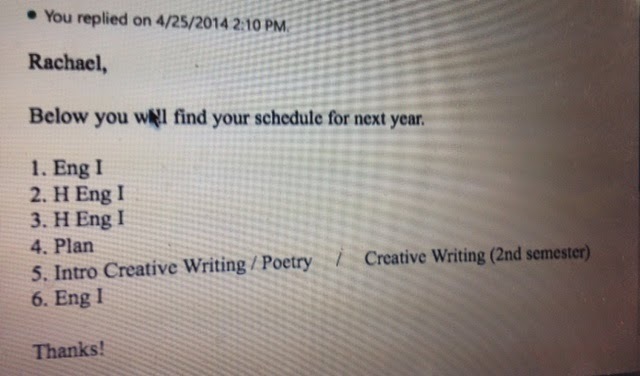 I'm glad you got your same school and love your schedule!!! Are freshman your favorite to teach? Can't wait to see the finished product. That fabric is fab.